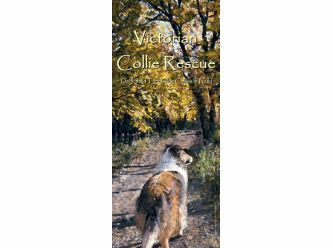 Victorian Collie Rescue is run by volunteers who are devoted to this beautiful breed. We are a non profit group that rely on donations, and also often use own personal funds, to save, care for and heal the Collies (Rough & Smooth) that come into our care. Our Collies are rescued from many situations but generally they are saved from pounds & shelters after they have stayed their required impound time there and have not been reclaimed by their previous owner … we rescue them from death row. These Rescue Collies are placed into one of our volunteers private homes. They are assessed for temperament, health and what type of home would best suit the Collie. If not already done, the Collie is desexed, vaccinated, wormed, heartworm tested & microchipped. Once the foster carer feels the Collie is ready for a new home it will be put up for adoption. Our Rescue Collies are placed into foster care in one of our volunteers private homes. There they are assessed for temperament, health, level of training, the Collies likes and dislikes and what type of home would best suit the Collie. If not already done, the Collie is desexed, vaccinated, wormed, heartworm tested & microchipped. The Collie will not be put up for adoption until we (and the foster carer) feel the Collie is ready to go to a new home. Once the collie has been put up for adoption we will then choose a number of suitable applications for the foster carer to go through and decide which applicant they think would suit the collie best. The foster carer will then arrange for the collie to meet and greet their potential new adopter at a home check and observe how the collie and the adopter interact with each other. After the meet and greet the collie goes home with the foster carer for a cooling off period so that the applicant and the foster carer can both have a serious think about whether this is the right home for this particular collie. If it is decided that this is the right forever home then the applicant is advised to collect the dog from the foster carers, we believe this stops the dogs from feeling dumped, the paperwork is completed, and the collie goes off to its new forever home!